Habitable zone: The area around the star where liquid water could pool on the surface of an orbiting planet. Actually this planet is larger than our Earth, about 60% in the diameter. Scientists, researchers or astronomers – whatever you call them – haven't yet determined or showed its composition and mass but some research suggests is likely to be rocky similar to the earth. You might like: What are exoplanets or extrasolar planets? This planet orbits little slower around its star that's why it has 358 days in the year as compared to the 365 days (in one year) on earth. This planet has 5% more distance between its star and itself than the distance between our sun and earth. The star around which Kepler-452b is revolving is 6 billion years old (our Sun was born 1.5 billion years after Kepler-452 was born). 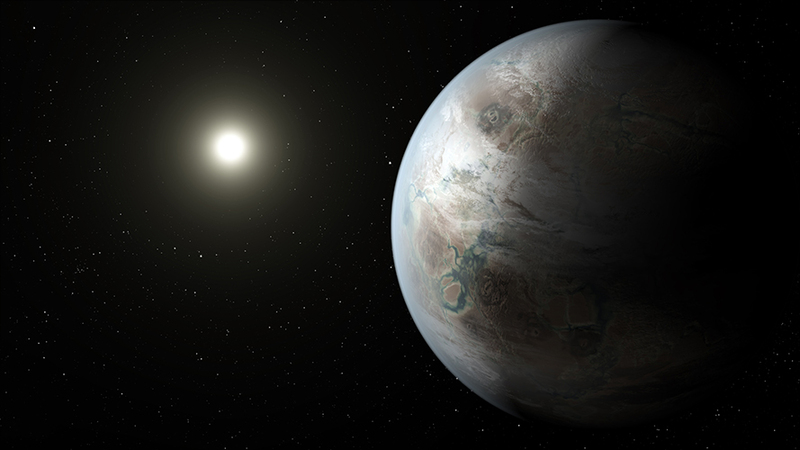 Kepler-452 and our sun have same temperature but former is 20% brighter and has larger diameter than our sun by 10%. "We can think of Kepler-452b as an older, bigger cousin to Earth, providing an opportunity to understand and reflect upon Earth's evolving environment," said Jon Jenkins, Kepler data analysis lead. That planet could be the future of our planet earth maybe. If you want to get all the information you could always visit NASA.